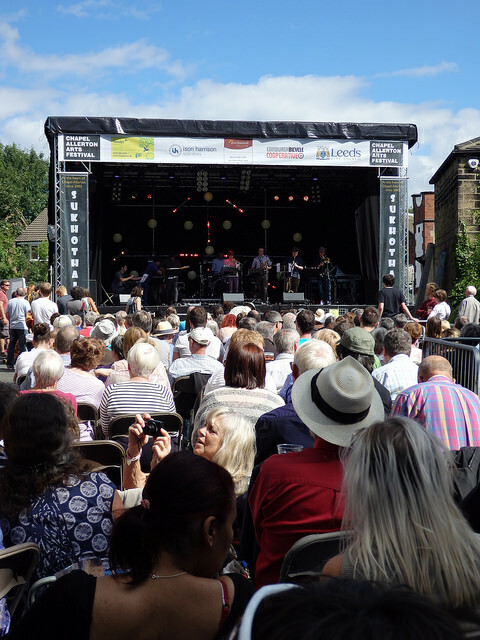 Sunday afternoon 6 September 12.30-7pm sees the best chill out for the local jazz and blues scene -the Chapel Allerton Arts Festival Jazz Sunday in Regent Street Leeds. Saxman Rod Mason and vocalist Nikki Allan return to play a set of new funk tunes plus some Herbie Hancock, Gil Scott heron and other great songs. Come down for a really Jazz/funky experience! James O'Hara - Lead vocals & guitar, Marc Leyton Bennet - Drums, Clinton McFarlane - Bass, Jon Burr - Harmonica, Paul Corry - Guitar. James O'Hara is a Leeds based Blues musician with a wealth of experience in fronting bands since 1985 including The Detonators and The Giantkillers. In the last 25 years he has been lucky enough to meet and play with many British Blues legends and Chicago Blues royalty. 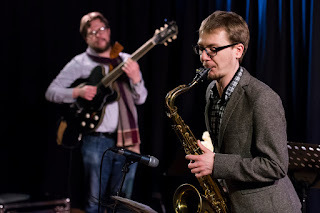 Sam Thornton - vocals and saxophones, Laurence Marshall - vocals, trombone & trumpet, Chris Lloyd - vocals and piano, Adam Richards - vocals and double bass, Ric Colley - vocals and drums. A classic jump blues, rocksteady and ska band, with a thumping slap bass, honking horns, raucous four-part vocal harmonies and a driving piano boogie. Chapel Allerton Festival: Regent Street, Chapel Allerton, Leeds LS7 4PE. 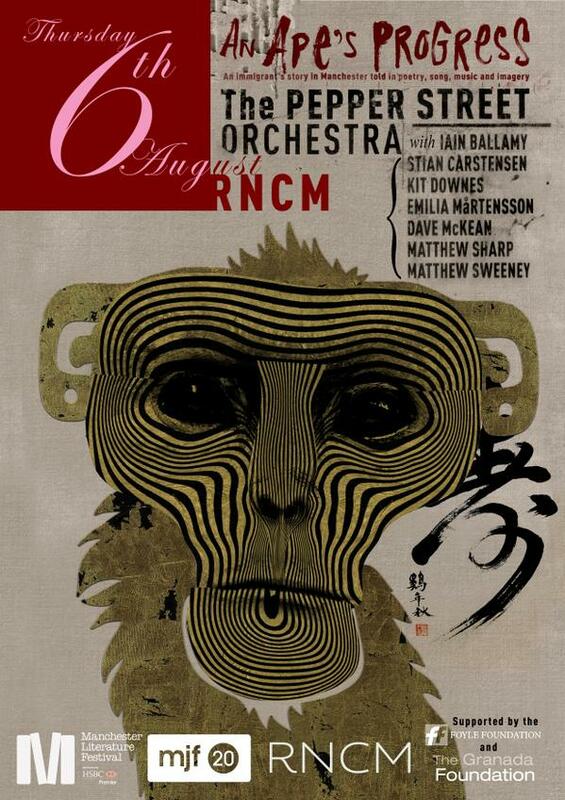 Please find below a taster of our August programme. 12/08 Jamie Taylor and Matt Anderson. Doors at The Cask open 8.00pm. "Just spent last weekend at the inaugural Llandudno Jazz Festival which came about due to the demise of the Titley festival (5 years running) which was in turn the reincarnation of the much missed Appleby festival which ran for 14 years prior. 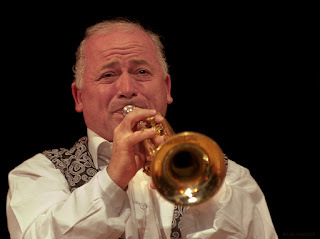 Artistic Director was trumpeter Neil Yates with the support of a professional promoter and the Welsh town’s tourism machine who put on a great show . The ‘Appleby-Titley’ crowd turned up in large numbers to hear a celebration of Britjazz in a marquee overlooking Llandudno bay/beach. Despite a rainy Sunday the event was highly enjoyable a big success. 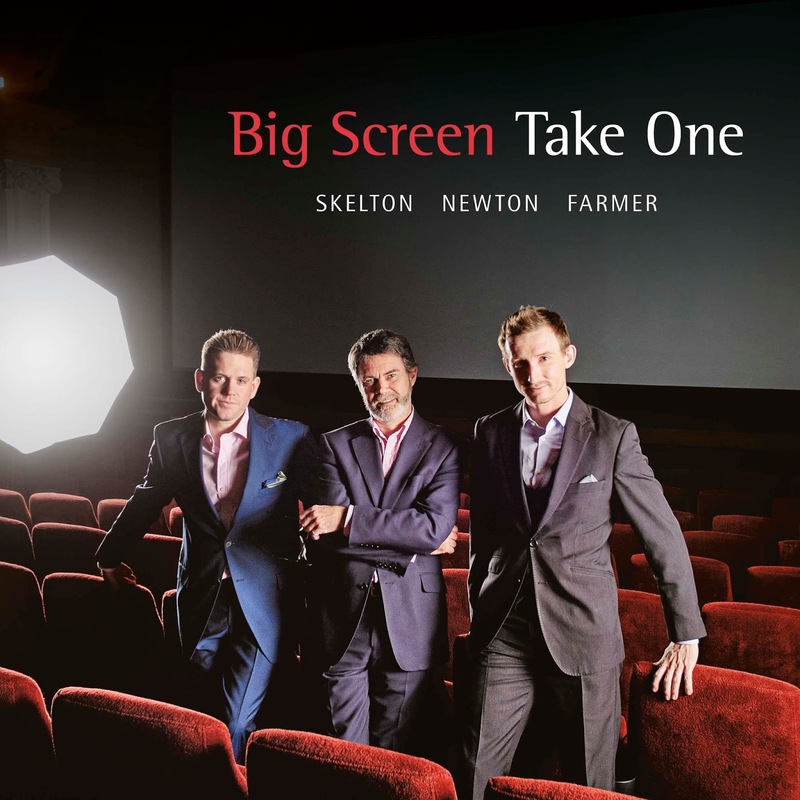 I mention this because the gig that produced the loudest and longest standing ovation was on Sunday morning – The Matt Skelton-David Newton-Tom Farmer ‘Big Screen Take One’ Trio playing a spectacular 1 hour 15 minute set of movie theme music. Anyone who wants a lot more of that can hear 2 hours of the trio at our gig at The Royal Clifton Hotel Southport on the evening of Sunday August 23rd. It really was a barnstormer of a set and I for one can’t wait to hear more. Tickets £14-ring 01704 541790 to book. Doors 7.30 for an 8 pm start. Jazz Promotion Network meet at Manchester.. 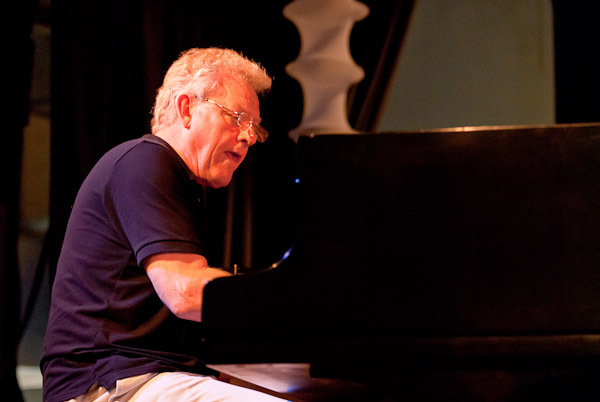 The 2015 Manchester Jazz Festival starts 31 July and runs to 9 August. Here are festival director (and Jazz North's Creative Director) Steve Mead listing some highlights from the 80 + concerts taking place..
Like a lot of jazz promoters, Jazz North East usually goes on holiday during August, topping up their tans in Whitley Bay. But when the Paris-based quintet OXYD got in touch about a possible gig in advance of a Manchester Jazz Festival appearance, they put their beach plans on hold. 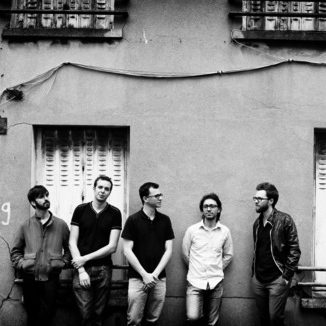 The approach wasn’t entirely unexpected, as JNE have forged strong links with the French jazz scene, and now probably present more French bands than any UK promoter outside London. But OXYD was a new name, and a quick check on their track record was enough to reach a decision; hints of the downtown New York scene combined with influences from alternative rock, improv and contemporary music, and all given that indefinable but instantly recognisable quelque chose that marks out much young French jazz (there isn’t an accordion, but you feel it wouldn’t be out of place!). 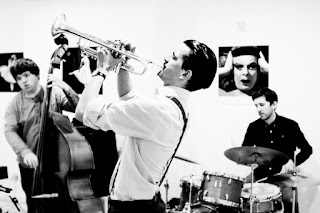 The band comprises Thibault Perriard; Olivier Laisney; Oliver Degabriele; Julien Pontvianne; Alexandre Herer. They appears at Newcastle’s Bridge Hotel on Sunday 2nd August, presenting their latest project - jazz deconstructions of the music of Nirvana (including some original compositions loosely inspired by the grunge icons). 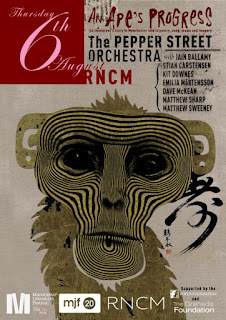 JNE programmer Paul Bream admits it’s all a bit of a risk; “We’re putting on an unknown band in a reputedly dead month, playing music from which some mainstream jazz fans might recoil - but jazz musicians have always used the pop music of their day as an inspiration, and we regard this as part of that tradition, and something that deserves to be heard. 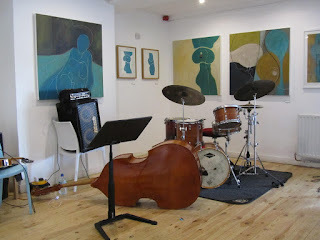 Details of the gig can be found at http://jazznortheast.com/event_detail.php?event_id=221. Doors 7:30pm : £10/8 entry : Music starts 8.00pm. There is no wheelchair access to this venue. On Friday 16 October Armenian pianist Tigran Hamasyan performs with the Yerevan State Choir in a unique exploration of their nation's music on 16 October, in their only UK performance outside London. Tigran's flowing improvisation fuses with the rich folkloric music of his homeland. 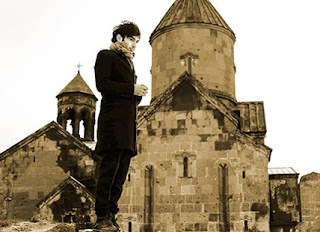 Although still in his twenties, Tigran is already a solo recording artist for Verve/Universal, Nonesuch and ECM and has been highly praised by piano luminaries Herbie Hancock, Chick Corea and Brad Mehldau for his dazzling virtuosity. Tigran and the choir perform music he has arranged by seven famous Armenian composers including composer Komitas Vardapet, who is well known to admirers of performances by Jan Garbarek and The Hilliard Ensemble. 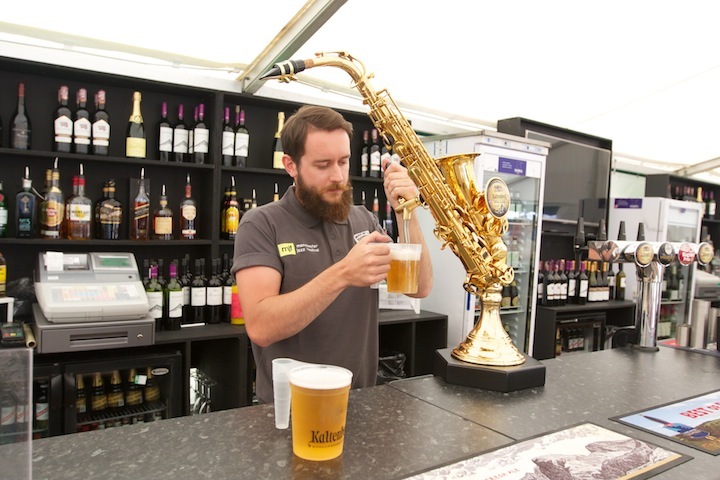 Always a popular night at Scarborough Jazz, and never without a few surprises. As ever the services of the resident trio will be on hand to accompany both the aspiring and the accomplished. We are also pleased to have the services of popular saxophonist Julia Wray who, apart from performing with the trio, will be there to front the ultimate jam session which always features on these nights. So there you go - day on the beach followed by a jam in the evening - perfect! If you are a Northern Jazz promoter you should already have had a personal invitation to come to Manchester to listen to 12 artists in 10 hours... Make sure someone from your venue comes along! 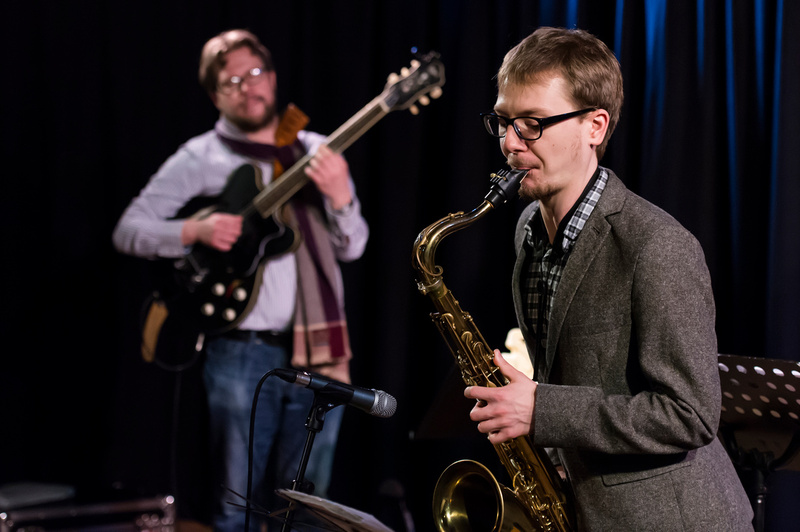 Monday 3rd August is Jazz North’s Northern Line showcase*** day at Manchester Jazz Festival where you can experience the full and varied range of wonderful music from the artists on the third round of this scheme. Four central venues- Thwaites Festival Pavilion in Albert Square (next to the Town Hall), Manchester Central Library (in St Peter’s Square), St Ann’s Church (in St Ann’s Square) and Matt & Phred’s Jazz Club (in the Northern Quarter). *** "Jazz North’s Northern Line is an exciting new touring initiative that offers a hand-picked roster of northern artists – selected by a panel of industry specialists – out to northern promoters at special subsidised rates. Over 100 promoters have now booked a northern line band. Artists also receive professional development and media support. 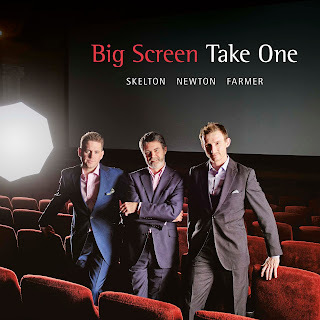 We’re now showcasing Round 3 of this exciting, successful project and we want to share this music with you." 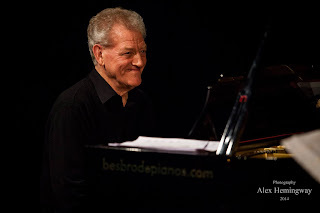 Sad to pass on the news that pianist John Taylor, a towering figure in European jazz, died last night, Friday 17th July. He had a sudden heart attack while performing in Stephane Kerecki's band at the French Saveurs Jazz Festival. He was resuscitated on the spot but died later in hospital. One, two, one, two, three...and book now. There’s a few places left and all instruments are welcome. We’ve got saxes of all sizes, guitars, basses, drums, vocalists (but no trumpets or pianists – come on don’t be shy). This is a great opportunity to spend the whole weekend playing, listening and learning in the company of others who want to improve their jazz skills – guided by the inspirational James Birkett and Judith Thompson. Participants will be divided into two groups based on experience. Participants also get free admission to the Williams-Tanton Quartet gig on the Saturday evening and a chance to jam with the band. To confirm your booking you need to pay for the workshop in advance. The fee is £82.00. This includes free admission to the Jazz.Coop gig on Saturday evening featuring the Williams-Tanton Quartet. There is also the option of paying for lunches and refreshments in advance. This would be helpful because it will give us a clear idea of numbers to cater for. The charge for buffet lunch on both days and tea/coffee breaks is £16.00. Fancy being the next Ronnie Scott? Or maybe you just want to see more live jazz happening in your area? Want to come and meet some successful Northern Jazz promoters and get their advice? This event is aimed at people who want to become jazz promoters, or who may already do some jazz promotion and want to do it better. You may be a musician wanting to develop venue for people to play, a volunteer with an interest in jazz, or a promoter in other areas of the arts wanting to include more jazz in your festival or programme. This event will help you achieve that. The seminar will focus on: finding a venue, developing an audience, planning a programme, developing the local jazz community through workshops, masterclasses, jam session and paying for it all! It also provides a prime opportunity to network with successful Northern Jazz promoters. This event is FREE to attend, but spaces are limited so to avoid disappointment we would ask participants to sign-up in advance via the form below. This event is one of a series of free professional development training sessions for jazz promoters across the North of England run by the Norvol jazz network – independent jazz promoters in the North of England. The Playground Party 2015 is fast approaching, featuring a whole day of fantastic live music, dance, entertainment & fun for all the family. It is the culmination of the two-week long Garforth Arts Festival which is now firmly established as a part of the annual cultural calendar in the city of Leeds. Headlining will be THE BRAND NEW HEAVIES delivering their unique mix of jazz, funk and soul. Supporting them will be West Country folk singer, songwriter and multi-instrumentalist SETH LAKEMAN, and the afrobeat legend FEMI KUTI AND THE POSITIVE FORCE. 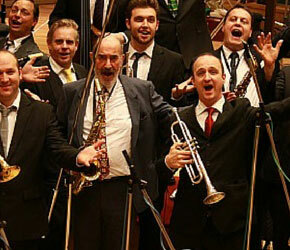 Also on the bill is the BBC BIG BAND featuring top UK jazz singer CLARE TEAL (this is due on at 5.15pm). Our line-up continues with the Garforth Jazz Rock Band. Leeds arts organization East Leeds FM will be running our second stage featuring music and spoken word from a wide range of artists from Leeds and across the UK. There will also be visual arts, craft and music workshops, so there will be loads to do for kids and parents alike. Magic, face painting, juggling, stilt walking and a whole host of other vibrant and exciting activities will be going on throughout the day. All in all, the Playground Party is a cultural extravaganza not to be missed, and at only £25 for a full day of entertainment, it might just be the best value festival day in the entire UK! Here's the news about July and August Seven Jazz gigs in Chapel Allerton - it's been a tremendous year - keep supporting live jazz in Leeds! 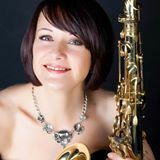 Sun afternoon July 12: Tessa Smith Sextet featuring Lorne Cowieson @Seven Arts 1.30-4.15pm Popular Leeds jazz singer Tessa Smith with her band featuring Scottish guest trumpeter Lorne Cowieson who has featured with singer Kurt Elling. Support (1.30-2pm) from the Jazz Voices Choir. £7/5 conc. Sun afternoon July 19: Summer Café @Inkwell 1.30-4.15pm Bring your horn, your axe, voice or just come and listen to the fun. The trio features young jazz musicians Chris Bland (piano) Jordan Dinsdale (drums) £7/5, concessions includes performers. £7/5 conc. Featuring the music of Cannonball and Nat Adderley- one for soul jazz fans. No jam this time - just the band! Venues: Seven Artspace: 31 Harrogate Road, Chapel Allerton, Leeds LS7 3PD. 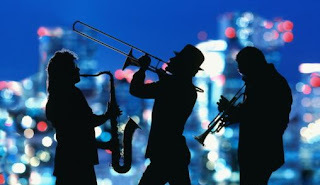 Jul 11th – New Orleans Heat - New Orleans jazz at its very best. A seven piece band playing “old style” New Orleans Jazz with renewed verve and vigour led by pianist Barry Grummett. Aug 1st – Amy Roberts/John Hallam Quintet – Two of our all time favourite reeds players to perform a wonderful miscellany of the standards and all backed up by the superb Tom Kincaid Trio. Aug 8th – Enrico Tomasso + Roy Williams + Ken Marley Trio – two of the UK’s finest instrumentalists well known to JITS regulars with the formidable backing of the Ken Marley Trio. £10. Aug 15th Savannah Jazz Band – and just to keep up the pressure, here’s your favourite Yorkshire band visiting its favourite Yorkshire venue to blow up a storm and keep your feet tapping. .
Aug 22nd – Wabash Jazzmen – “refreshing, vibrant hot five jazz” is an excellent description for this group which is driven along by the flowing banjo of leader Mark Challinor. Situated just off the new section of the A1(M) at Junction 45 signed Wetherby and Otley. 2015 brings the 30th Wigan International Jazz Festival between Thus July 9th and Sun July 12th . Acts converging from across the globe to give your eyes and ears a treat. We're rocking a big band theme but the sounds are varied and exciting and truly worthy of a monumental jazz celebration. Hull Truck Theatre present J-Night’s 23rd Summer Hull Jazz Festival from 23 – 26 July. The festival kicks off with the New York Brass Band, an 8-piece New Orleans-inspired party band from the mean streets of York. They play Marvin Gaye, George Michael, Cee-Lo Green and Stevie Wonder alongside some funky originals. Catch them on Thursday 23 July at 8pm. 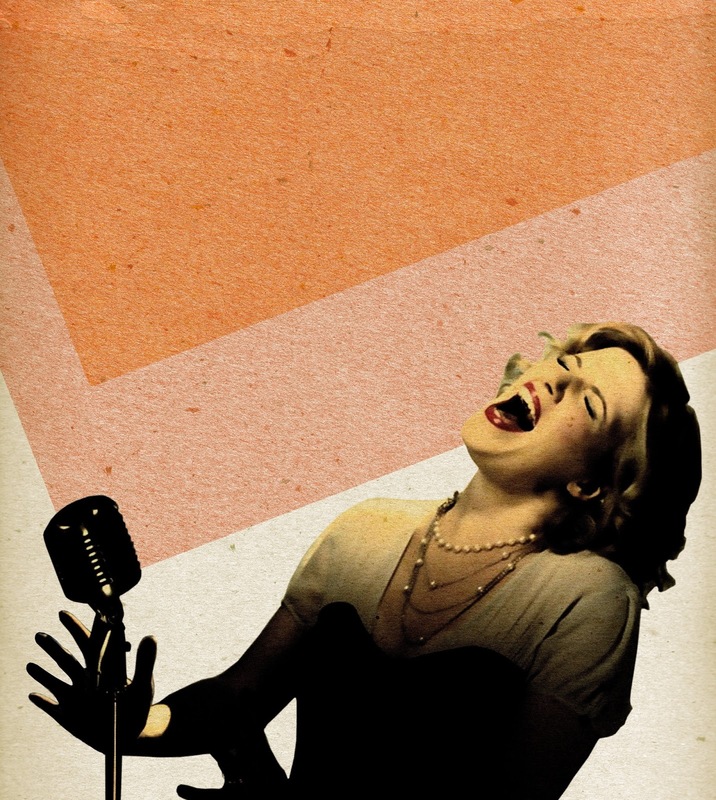 Clare Teal and her trio celebrate Doris Day on Friday 24 July at 7.30pm. Clare has created an entertaining, joyful journey through the musical life of one of Hollywood’s biggest legends. Doris’ timeless songs endure, including Move Over Darling, Perhaps Perhaps Perhaps, Deadwood Stage and Que Sera Sera. The Gary Crosby - Denys Baptiste Quartet pay tribute to the legendary John Coltrane, a show to mark the 50th anniversary of the only live performance given by Coltrane of A Love Supreme. Joining double bassist Gary Crosby to celebrate this milestone is Mercury/Mobo winning saxophonist Denys Baptiste, with Joe Armon-Jones on piano and Rod Youngs on drums. See them on Saturday 25 July at 3pm. Unfurl combines Indian Ragas, contemporary jazz, flamenco and Arabic rhythms to create an uplifting fusion and original sound. Watch Olivia Moore (violin), Jim Faulkner (guitar), Gavin Barras (bass), Adam Warne (Egyptian percussion) and John Ball (Indian santoor, tabla) on Saturday 25th July at 5.30pm. 10-piece band Dread Supreme give classic jazz the reggae treatment on Saturday 25th July at 8.30pm. They are led by Jazz Yorkshire Musician of the Year Richard Ormrod and drummer Sam Hobbs, featuring Trevor Roots on vocals and Spear on percussion. Join Zoe Gilby and her quartet for the Jazz Festival Brunch on Sunday 26 July, 12 noon until 3pm. A jazz vocalist and songwriter, Zoe and her band perform contemporary material form the likes of Pink Floyd and Kate Bush.